Most people are insured through their home insurance or other insurance with admitted insurance companies. However, there are also non-admitted insurance options for certain special cases. Insuring yourself with an admitted insurance company vs. a non-admitted insurance provider can have its advantages and disadvantages. Normally you would not end up insured with a non-admitted insurer before your broker or insurance representative has already checked if you have options with an admitted insurance company. Here are the basics of understanding what is non-admitted insurance, as well as some advantages. Non-admitted insurance refers to an insurance company that is not licensed with the state to provide insurance. However, just because the non-admitted insurance carrier is not licensed as an insurance provider in the state (or country) it does not mean it is not allowed to operate in the State. A non-admitted insurance carrier may provide coverage through a state licensed agency, broker or representative. A non-admitted insurer does not have to follow the same criteria in underwriting, rate setting, and coverage as admitted insurance carriers. Non-admitted insurance is also sometimes referred to as "Excess and Surplus Insurance" or "E&S", or "Surplus Lines". Insurance for people who do not meet standard underwriting criteria, for example, those with insurability issues, too many claims or if a standard insurance company cancels a policy and will not renew. Non-admitted insurance is a key component in the insurance industry because it answers the need for specialty insurance coverage and/or higher risk insurance needs. Without non-admitted insurance, many people would be unable to get insurance coverage and may not be able to finance homes or be insured after a string of "bad luck". Rates are not regulated by state. Insurers do not have to submit their rates. Offer coverage options to help states offer coverage in high-risk markets, for example, with people who need to use Fair Plan Insurance, some of this coverage may be with non-admitted insurers or Excess and Surplus carriers. Due to the fact that surplus lines insurance products are not subject to rating regulations at the state level, they can have an advantage over admitted insurers because they have the freedom to be more creative and responsive about the types of coverage they offer. Depending on the situation and type of insurance of the non-admitted insurance product, the rates may be more expensive than a standard insurer's rates but may provide insurance coverage that a standard insurer would not be willing to provide. The State provides protection to consumers who are insured with admitted insurance if the insurance company is unable to pay it's claims or losses, in the case of bankruptcy, for example. The biggest difference between the admitted insurer and the non-admitted insurer is that the non-admitted insurer does not have that financial backing from the State. Are Non-Admitted Insurers Higher Risk? The fact that non-admitted insurers can set their own rates and are not subject to the local regulations on rate issues may allow the insurer to collect the appropriate premiums by charging the rate appropriate to the risk, which in turn may help them to be more profitable in general. This may give these non-admitted insurers strong financial stability. You should always check the financial stability of an insurance company whether admitted or not. For example, in some cases, if the A.M. Best Rating of a non-admitted insurance company is stronger than an admitted one, it can indicate the non-admitted insurer is actually more financially stable to handle claims and losses. Whether you purchase non-admitted insurance or admitted insurance, it must still be sold to you by a licensed person or agency. Non-admitted insurance still is subject to certain laws, it is just not subject to filing rates or following specified forms. In the US many non-admitted insurance carriers are licensed as "admitted" in one or more states, which allows them to carry on business in other states as non-admitted. Many admitted insurance companies have non-admitted insurance providers within their family of companies. If you run into trouble and need help with a non-admitted insurance policy, you should always start by asking your insurance broker or agent to help first, but if that fails you can always contact the State Insurance Commissioners Office for help too. If they are not in the position to help you, they may refer you to the State Surplus Lines Offices. Are Non-Admitted or Excess and Surplus Insurers Safe to Use? Just because an insurer is non-admitted doesn't mean it isn't stable. 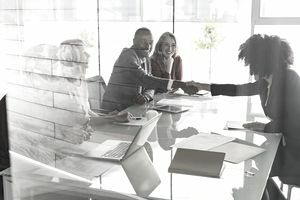 A non-admitted insurer may be better equipped to handle large losses or have more experience in high-risk environments than standard insurance companies, and may even provide certain advantages to consumers. One example of a non-admitted and well-respected insurance provider is Lloyds of London. Lloyd's is a non-admitted insurer in most of the United States, it is admitted only in a couple. In addition, Lloyds is not even an insurance company, it is a syndicate or insurance market. However, they are one of the largest insurance providers in the world and have top ratings as being financially stable and consistently rank as a top surplus lines insurer in the world. If you wonder whether your insurance provider is stable, you can check their financial stability ratings with various organizations who provide financial ratings on insurers. Types of Life Insurance: Which One Is Right for You?